ROKFORM® announced on April 26th that it will be shipping its Rugged series case for the all new Samsung Galaxy S8 in April 2017. The feature packed Galaxy S8 can be complemented and protected with an equally feature packed ROKFORM® Rugged Series case. The ROKFORM® Rugged series case has literally hundreds of uses thanks to its integrated RokSafe Magnet that allows customers to mount the new S8 to almost any magnetic surface. The new ROKFORM® case also features ROKFORM's patented RokLock® twist lock mounting system that allows for hands-free mounting via optional accessories for cars, bikes, motorcycles and more. 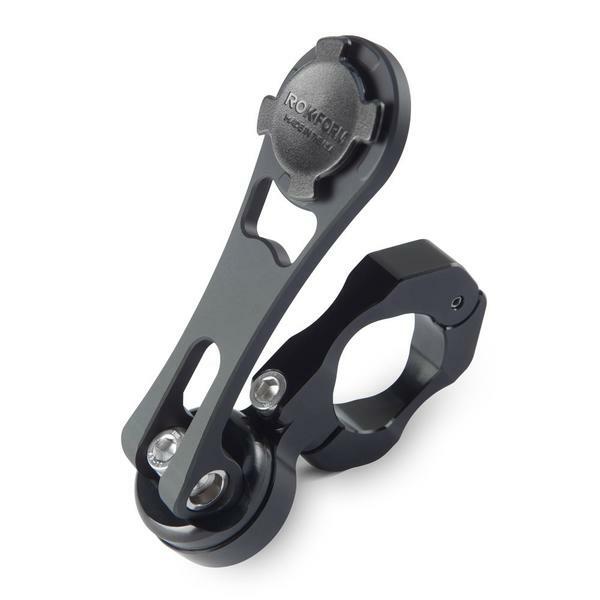 Keep your phone in sight with Rokform’s Motorcycle Mounts. 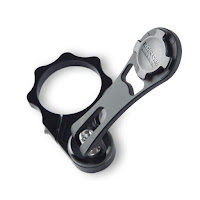 Made from high quality, aircraft grade aluminum, our Motorcycle Handlebar Phone Mount & Fork Clamp Phone Mount was engineered to withstand anything the road throws your way. With 3 layers of security, you can rest assured your cell phone will stay in front of you when you need it the most. The new ROKFORM® Galaxy S8 case allows customers to use their phone in ways they never thought possible. ROKFORM® has gained massive popularity within the power-sports, cycling, first responder, military and law enforcement community thanks to its patented mounting ability and military grade protection. Improvements have been made to the latest generation of ROKFORM® cases, like softer TPE rubber, more pronounced function buttons and a continually upgraded library of mounting accessories. "If you want discreet secure mounting and military grade protection we have you covered. 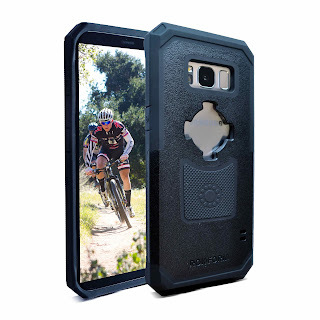 Since 2011 we have been producing world class cases and mounts that are second only to our world class customer service and backed by a 2 year warranty, the New Rugged Case for the Galaxy S8 is no different. Nowadays, hands-free use of a phone while driving is paramount for both safety and convenience, which is one of the reasons we include a free car mount with all of our magnetic cases and the S8 is the newest in the line-up," said Steve Petyo Vice President. To keep up to date on the latest from ROKFORM® visit www.rokform.com or follow ROKFORM® on social media by liking ROKFORM® on Facebook, following @ROKFORM on Twitter and Instagram. Share your favorite ROKFORM® photo using hashtag #beyondprotection. About ROKFORM®Launching in January 2011, ROKFORM® quickly established itself in the consumer electronics industry by manufacturing uniquely designed and engineered products for the iPhone, iPad and Galaxy devices. With a background in the highly demanding and rigorous motorsports industry, ROKFORM® has created mountable cases and accessories that go Beyond Protection®, using only the best billet aluminum and polycarbonate materials to withstand the everyday lives of our users. Most ROKFORM® products are proudly manufactured right here in the USA.